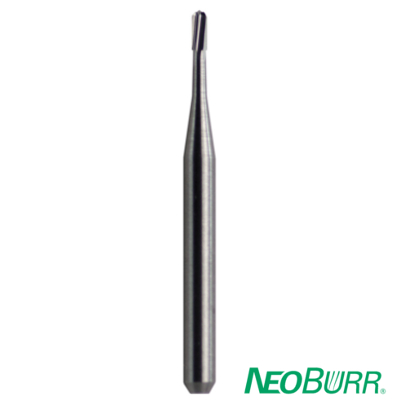 Visit NeoBurr.com or call 800-235-1863 for more information. Oral irrigators have been available for home use since the early sixties, and recently, they’re gaining in popularity. New research reports their effectiveness in disturbing plaque biofilm and as a result, reducing the host’s response to the microbes in the plaque. When oral irrigators were first developed, studies revealed that their use reduced gingivitis, but they didn’t remove troublesome plaque. 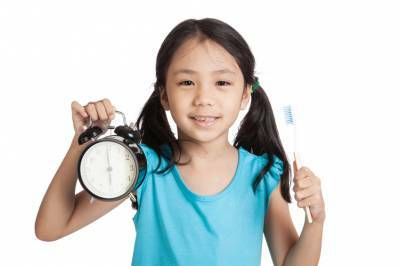 Therefore, it was thought that daily oral irrigation wasn’t effective. Water flossing was mainly recommended for patients with orthodontia, crowding, and patients dealing with food impaction. 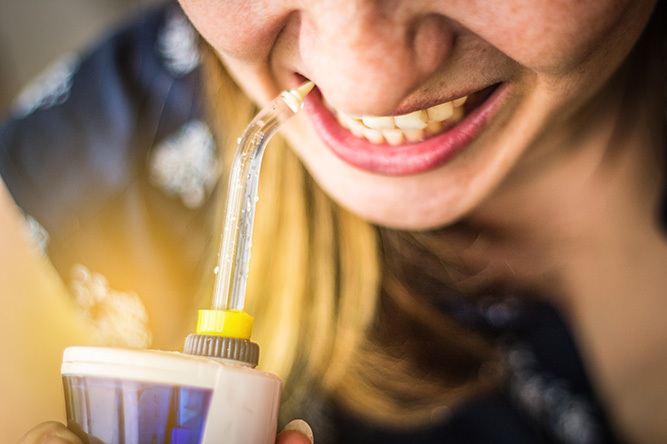 Another concern was that daily use could cause bacteria in the mouth to enter the bloodstream and cause an infection, but research shows that using a water irrigator poses no more threat to infection than any other oral cleaning device. New findings reveal that oral irrigators alter plaque formation rather than remove it altogether. Disturbing plaque formation dilutes toxins and disrupts bacterial colonies thereby lessening the patient’s immune response. In other words, even though the plaque isn’t removed, the bacteria within the plaque is disorganized, and in turn, inflammation, bleeding, pocket depths, and the patient’s immune response is repressed. Also with the correct tip and instruction, periodontal pathogens deep within the pocket are compromised. Brushing, flossing, and rinsing with an antimicrobial product doesn’t go underneath the gumline more than one or two millimeters. By incorporating the use of a water flosser, patients remove not only food debris, but also disturb plaque formation from around the entire tooth beyond two millimeters. Today, oral irrigators are beneficial for all patients, but especially those with orthodontic appliances, implants, crown and bridge, diabetes, periodontal disease, gingivitis, and those whose oral health is less than ideal. In part two of this blog, we’ll discuss the types of irrigators and the different tips used for specific purposes. If you’ve been in Dentistry for many years, you’ve probably held a film or sensor in a patient’s mouth during radiographic exposure. Children, patients with a small mouth or tori, severe gaggers, or uncooperative patients can make it seem like there’s no other way to get the perfect shot without compromising your health. Use appropriately sized film. Unfortunately, there aren’t many options for film or sensor sizes. However, a pediatric size is a must because it can be used for an adult with a small mouth, sensitive gag reflex, or tori. Have the patient hold the film. If there’s no other way to get a decent shot, the patient can be instructed to hold the film. It’s a bit risky because the film or film holder must be held firmly, but it’s better than exposing yourself. It also may or may not work with a child. But again, it’s worth a try. OSHA mandates that employers provide a safe workplace which includes limiting radiation exposure. Therefore, dosimeters and barrier shields (lead aprons and lead lined walls) should be in place anywhere x-rays are taken. A dosimeter is a scientific instrument (usually a badge that the clinician wears) used to measure exposure to radiation. The badge is monitored by the company from which it’s purchased. Employees must be educated and take a course in radiation protection, and anyone who takes x-rays must be certified by the state. The maximum annual dose of radiation for healthcare employees is 50 millisieverts (mSv). The maximum allowable lifetime dose is ten mSv multiplied by your age. Pregnant clinicians can expose x-rays, but they must wear their dosimeter and a lead apron every time and never remain in the room during exposures. While this may seem like overkill, it’s prudent to have team members who are pregnant stay far from any radiation. Many pregnant practitioners refuse being exposed to any radiation, and their decision should be respected. 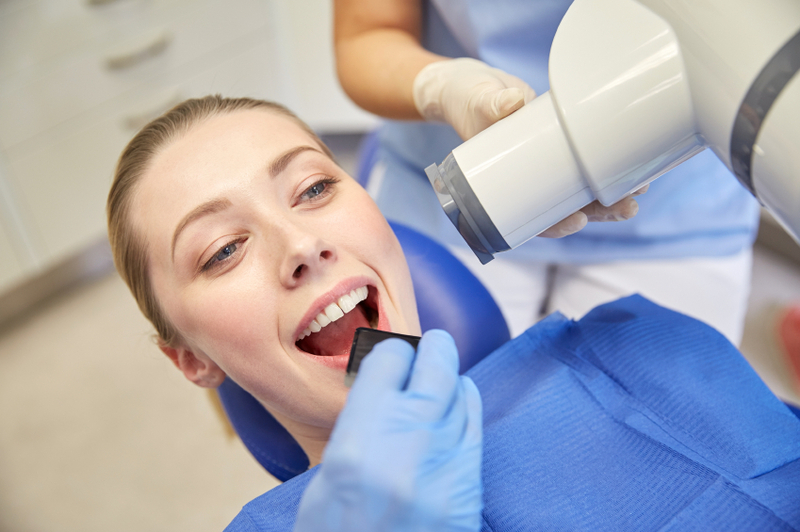 Continued exposure to dental X-rays is linked with an increased risk of cancer. Again, most clinicians today aren’t overexposed because of advances in technology that require far less radiation and precise and focused beams, but it certainly can happen. Specific types of cancer such as thyroid and tumors involving the hands or fingers are linked to the dental profession. Dental offices are busy places and staying on schedule is a must. It’s easy to justify getting a diagnostic x-ray by holding the film in the patient's mouth, but it shouldn’t occur. Perhaps it’s time to find a course that teaches alternative ways to get a readable x-ray without exposing yourself. Always remember that radiation is cumulative and dangerous when not respected. Know when to throw it out- When dismissing a patient and giving them a new toothbrush, many say, “Thank You. I need a new toothbrush. I’m still using the one you gave me six months ago”. Six months is far too long to keep a brush. Dental professionals have been taught to advise patients to replace their brush after three months of use or However, new research suggests differently as you’ll see below. Know how to care for your brush while traveling- When traveling, most people store their brush in a closed container. While this may seem smart, enclosing the brush allows the germs to breed much faster. It’s best to store it upright to dry because enclosing it creates moisture allowing germs to multiply quickly. It’s best to let the brush air dry away from the toilet. Also, use disposable brushes while traveling, and toss them after your trip. Toothbrush sanitizers? There are many electric sanitizers on the market, but studies show that they aren’t effective. You can sanitize your toothbrush without causing harm by soaking it in mouthwash that contains alcohol as the alcohol kills germs. You can also soak it in a mixture of 1 part water and 1 part hydrogen peroxide or dip it in boiling water for ten seconds. You shouldn’t put your toothbrush in the dishwasher or microwave to sanitize it because doing so will cause damage making it unsafe to use. Toothbrushes with built-in indicators- Some brushes have indicators telling you when to throw it away, but you still may have to replace it before the indicator says it’s time. New studies show that toothbrush replacement should be determined by the shape of the bristles and not the calendar. Store your brush in a safe place- You should always store your toothbrush uncovered and in an upright position. It can be near other brushes, but they shouldn’t touch. Also, your toothbrush shouldn’t be stored near the toilet. When flushed, the air becomes contaminated with aerosols from the toilet, and this toxic aerosol can travel up to six feet. The bottom line is to examine the bristles at each use, and if there’s significant wear, it’s time to get a new one. However, if your brush has noticeable wear after one month, you’re brushing too vigorously and need instruction on how to brush from your dental professional. Store it at least six feet from the toilet and don’t keep it covered. By following these tips, you can rest assured that you get the most out of your brush safely and effectively. 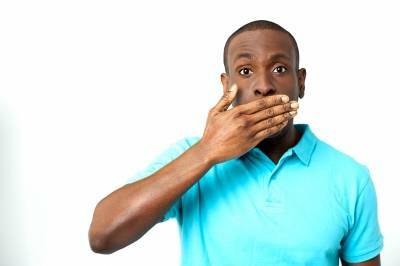 Watch Your Mouth - Are You Talking Too Much? As clinicians and customer service representatives, obviously we’re required to interact with patients, but there’s a fine line between being professional and knowing when you’ve shared a little too much about your personal life. While we certainly don’t want to appear cold and indifferent, getting too involved personally with a patient can have an adverse reaction. Also, some patients would rather not engage during an appointment unless it’s related to their oral health. Building rapport with patients is extremely important, and we’re expected to be comforting, informative, and professional. However, chatting the entire appointment about irrelevant and personal matters can cause some patients to become annoyed and stressed. Therefore, acquiring the skill of reading people is very important and will prevent awkwardness and embarrassment. It’s not too difficult to pick up on a patient’s demeanor and adjust your communication skills if you pay close attention to their cues and body language. When a patient comes into the operatory, it’s their time, and they need your undivided attention. They may have issues they want to discuss, or they may not want to talk at all. Patients can change their demeanor from one visit to the next, and everyone has a bad day. If you sense the patient is annoyed, remain silent and let them initiate any interaction. However, if there’s a dental issue at hand, informing the patient is important. You don’t have to overdo it, but make sure they’re aware of any issue(s) you find. Another important point is to make sure your conversation is appropriate. Some topics such as religion and politics are off-limits. Also, keep the conversation focused on the patient. While you want them to get to know you, they may not want to hear all about your life. Some people will want to know everything about you but use discretion. Vacations, children, career, grandchildren, and pets are usually a safe subject. With a little practice and patience, you’ll become a pro at knowing when to share and when to watch your mouth.